Internationally acclaimed dancehall star Sean Paul headline the upcoming Rémy Martin Fly Away Concert. The “Got 2 Luv U” hitmaker is booked for the exclusive concerts to be held at the Sandals Grande Riviera Beach and Villa Golf Resort in Ocho Rios on March 31. An enthusiastic Sean Paul said it’s always a pleasure performing for his home fans. 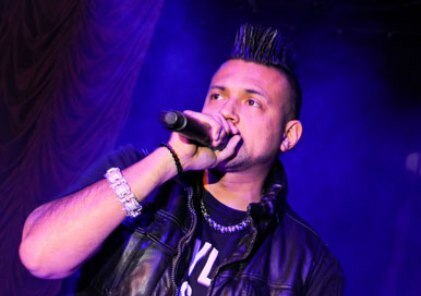 “It’s always great performing at home and I am looking forward to the opportunity of connecting and interacting with my fan base from Jamaica and overseas,” Sean Paul said. Caribbean Producers Jamaica Limited (CPJ), is the main sponsor behind the international Rémy Martin promotion that culminates in the Jamaica concert. One lucky local winner and their guest will party alongside more than 40 others from the Caribbean and the United States at the concert and an invitation-only after party. The lucky winners will also enjoys an all expenses paid weekend for two at the resort and a special catamaran excursion courtesy of Island Routes tours. I was at that concert with Nicole Simms! It was awesome.